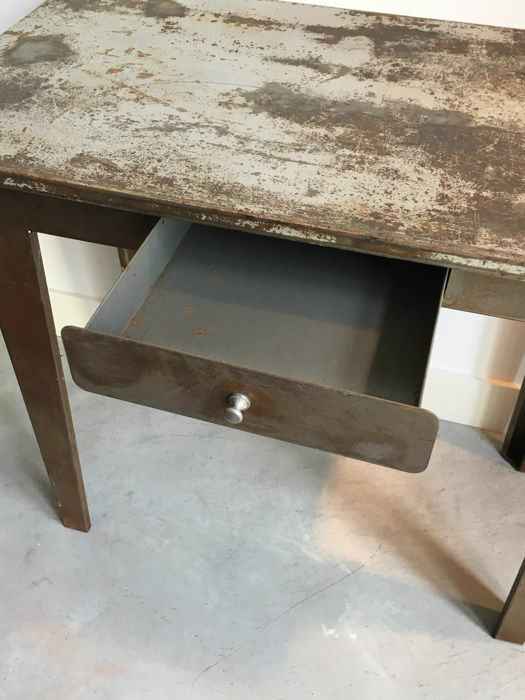 Very stylish industrial painted steel table with angled legs and small curved drawer with original button pull. 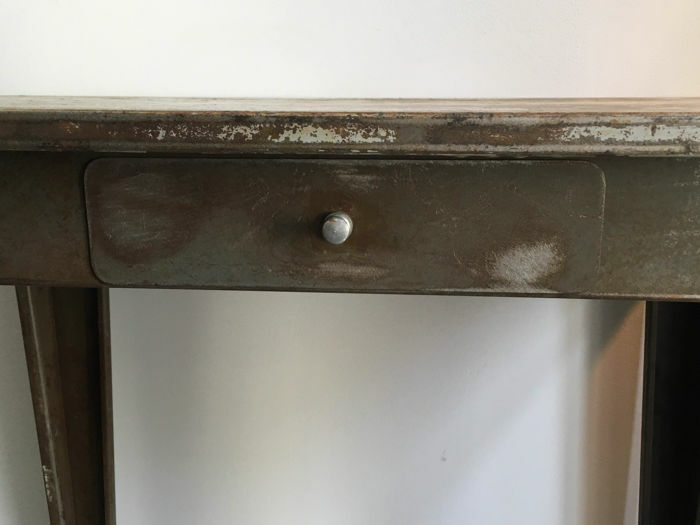 The original Paris makers label is on the back of the table and can be seen in the photographs. RONEO was created in 1902. Originally, it was called NEOSTYL (English company) and specialised in the manufacture and marketing of stencil duplicators. 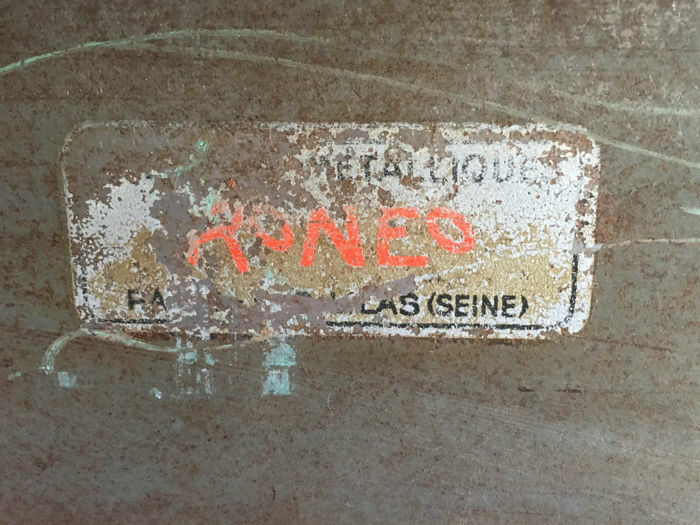 In 1907, the French company NEOSTYL became the RONEO Company in order to manufacture and distribute also office furniture first wooden then metal. In 1970 the company was sold to the English group Vickers. 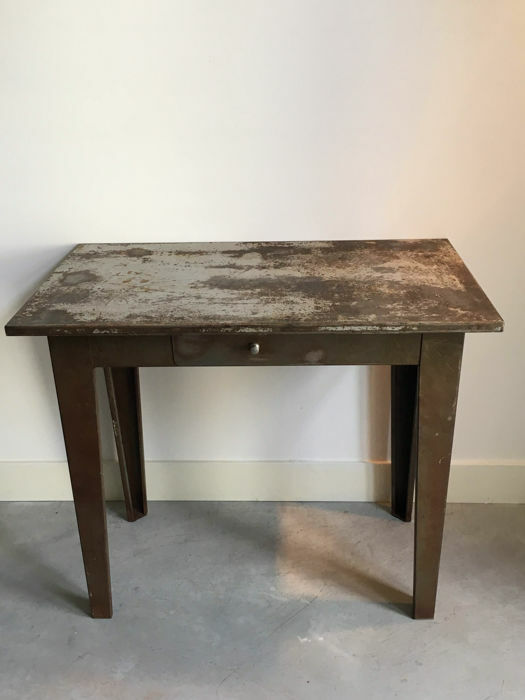 The RONEO furniture brand remains one of the leading brands in industrial furniture. 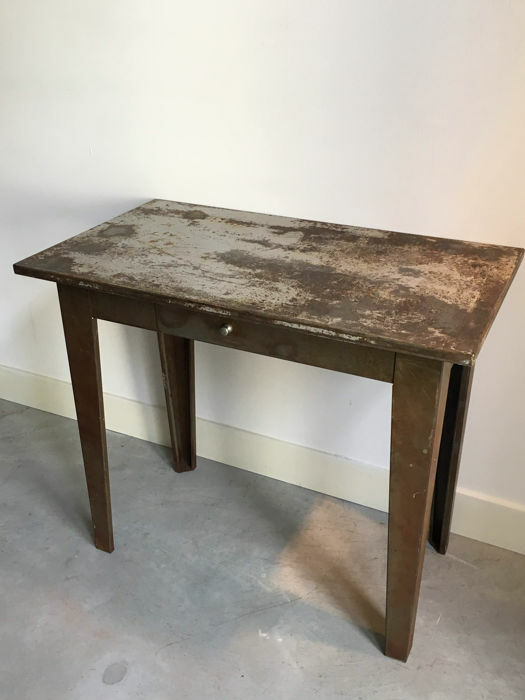 The table is in excellent used industrial condition with signs of use which add to the originality of this table. Please see photos as these form part of the description. Will be carefully wrapped and shipped using track and trace. Collection from Weesp is also possible. 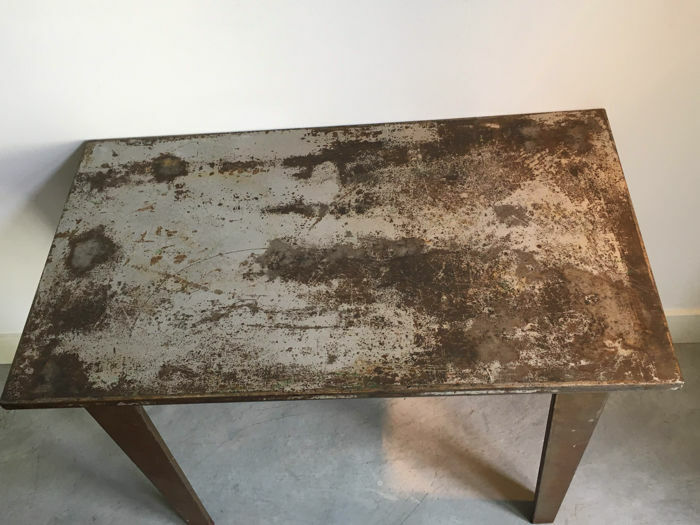 The table is in excellent used industrial condition with very good signs of use which add to the originality of this table. Please see photos as these form part of the description. Very nice piece, very fast! 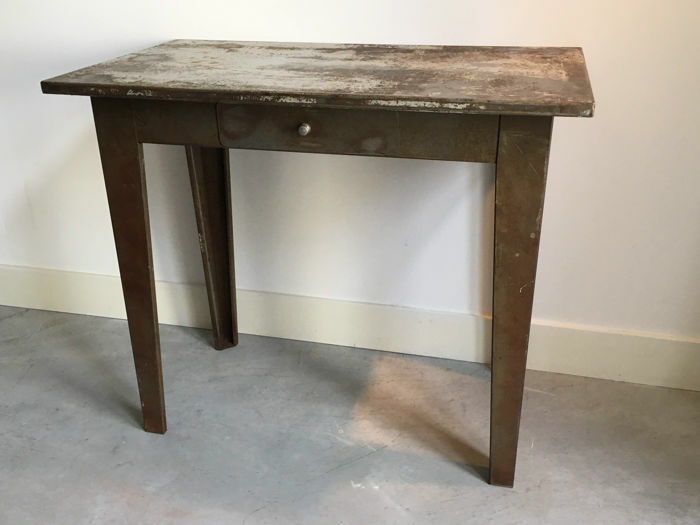 Deze kast heb ik nog niet af kunnen halen vanwege mijn werk . 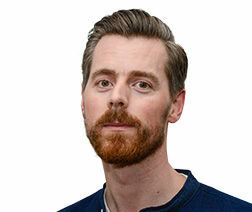 Niet zo netjes om dan aan te geven dat hij afgehaald is. This has been collected and the buyer was very happy with the piece. Puteți ridica acest lot de la vânzător: Weesp (NH), Țările de Jos.